A Thaler minted according to the regulations of 1566 which decreed that 9 Reichsthaler were to be minted of Mark silver of Cologne (of 233.856 g) – each coin with the weight of 29.23 g (889/1000 fineness), and a silberweight of 25.98 g.
The "Speciesthaler" – could be subdivided differently in different territories – into 32 gute Groschen in Leipzig, or in Braunschweig into 48 Mariengroschen etc. – and must not be confused with the Reichsthaler unit of account fixed at 3/4 of the value of a Reichsthaler species. 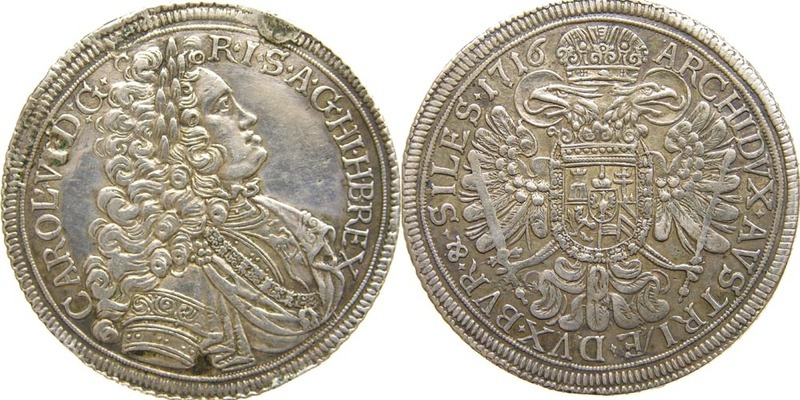 The Introduction of the Konventionsthaler in 1750 ended the era of the Speciesthaler: According to the new regulation 10 Konventionstaler were to be minted of the mark fine silver each with a silver weight of 23.386 g. The Konventionsthaler spread in southern Germany whilst Prussia began minting 14 Thaler of the Mark fine silver thus creating the Thaler which served northern Germany until 1871 (regularly divided into 30 Groschen). This page was last modified 18:47, 3 April 2008.